Dawn Suzanne Erickson was born in Belleville, Illinois, on January 15, 1973. Her parents were David and Beth Erickson. She graduated from Westbury High School in southwest Houston in 1992, finishing in the top five percent of her class. Continuing her education at the Houston Community College, she earned an Associates of Arts Degree in 1993. On August 29, 1994, she joined the Houston Police Department by entering Police Cadet Class No. 160. Upon graduation on March 3, 1995, she entered her probationary training period, which she successfully completed on August 28, 1995. She wore Badge No. 5963. Dawn’s first and only assignment was to the South Central Division of Central Patrol. She had completed only four months of a promising career when on the night of December 24 – Christmas Eve 1995 – she was on a voluntary extra-job assignment of her choice at a church in southwest Houston. At approximately 6:45 p.m. in this most joyous of seasons, Officer Erickson was directing traffic for the Christmas Eve service at the Unity Church of Christianity, 2900 Unity Drive. Erickson was wearing a reflective jacket and using an orange-tipped flashlight. At this time, a motorist was eastbound on Unity in a 1987 Honda Accord. The motorist later reported that she only saw a red light flickering in the street. It was at this point that the passing motorist struck Officer Erickson with the left front of the vehicle. The impact caused the officer to be thrown into the vehicle’s windshield and an additional twelve feet into the air and onto the pavement. Erickson suffered head and leg injuries as a result of the impact. A Houston Fire Department ambulance rushed her to Ben Taub General Hospital, where she was pronounced dead at 8:50 p.m. She was only twenty-two years old. This accident was professionally investigated by the HPD Accident Division. While Officers N.E. Maurer and R. S. Cedeno were the first units on the scene, Officers J. W. Nickell and R. Hernandez were the primary investigators from the Accident Division’s Hit and run Detail. Sergeant D. Hurd supervised as well as participated in the investigation. Officer R. Saenz was later assigned to assist in the investigative follow-up. Officer D. E. Henry, who was working this departmentally approved extra job with the complainant, was also on the scene to assist the responding officers. The suspect driving the Honda Accord was quickly determined at the scene to have not had any major culpability in this offense. She was taken into custody and tested for any and all chemical substances in her body. All tests were negative. The Accident Division conducted an extensive and thorough investigation. While investigators determined that the driver of the Honda was likely exceeding the speed limit at the time of the impact into Officer Erickson, a grand jury no billed her. Officer Erickson was survived by her father David Erickson of Harlingen and her mother and step-father, Beth and Scott Green of Richmond. Also, by her brother Christopher Erickson, 15 years old and a sophomore in high school as well as her sisters Deanna Nixon and husband Brent and their two children, Faithe and Colby, and Nicole Erickson, a college student in Edinburg, Texas. The Earthman Company was in charge of arrangements. Visitation was held from 8:30 a.m. until 9 p.m. at the Earthman facility at 12555 South Kirkwood on Wednesday, December 27, 1995. Funeral services were conducted at the Sugar Creek Baptist Church, 13213 Southwest Freeway, at 10 a.m. Thursday, December 28. The Reverend Gene A. Moore and Police Chaplain Edwin Davis co-officiated. Burial followed at the Forest Park-Westheimer Cemetery. For some reason unfortunately attributed to his own abilities, this writer was unable to locate any of the Erickson family. However, Mrs. Beth Erickson accomplished what I could not. In August 2007, Mrs. Erickson approached me at the HPOU Building and introduced herself as well as her daughter, Nicole, and two grandchildren. After spending some time with Mrs. Erickson, she was asked to contribute to this story and she has graciously done so – but not without emotional pain. 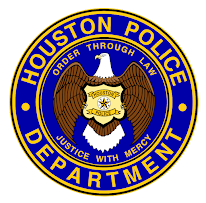 The following is a synopsis of Mrs. Erickson’s insight, which helps us all to better understand what kind of young lady Officer Dawn Erickson was and what an even more tremendous loss this was to her family, to HPD and to society in general. Dawn decided at age 15 to become a police officer for HPD. 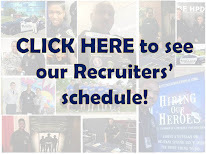 She was so determined that she even worked out her high school courses along with summer courses to graduate early, knowing full well that she would need 60 college hours to join HPD. Her focus on this goal did not waiver even though she became a model and was also working in a business office. Her long-term goal was to be fluent in Spanish, join HPD and then maybe move on to the FBI or CIA. Dawn loved being an officer and had expressed to her mom that HPD was a proud family and that her mom needed to show this pride because she “chose” this profession and loved what she was doing to help people. She had a strong faith in her Lord and had said that if God ever came for her, she would take his hand and go willingly. And, that she did on Christmas Eve 1995. Her mother had questioned her about working this job on Christmas Eve as they as a family usually spent this special time together. However, Dawn indicated that the church asked her to do this and she felt that she needed to do it. Instead, on Christmas Day, the family had to go to Dawn’s apartment to obtain a uniform for her burial. Also, Mrs. Erickson described in detail how difficult it was afterwards to deal with the unopened Christmas presents Dawn had purchased for her family. Dawn was very close to her siblings, especially her brother Chris. They had birthdays close to each other and usually celebrated those occasions together. In 2007, Dawn’s parents, David and Beth, are once again Mr. and Mrs. David Erickson. They live in Manvel, Texas and Beth is a principal of an Alternative School for an area School District. Deanna and Brent live in Rosharon, work for Kroger, and their children are Faithe, 19, a college student, and Colby, 14, who is in the 8th grade. Nicole is married to Richard Starnes. They live in the same area and are the parents of four children, Aaron,15, Mariah, 9, Lexi, 4, and Tre’, 2. Nicole is a high school math teacher. Chris is married to Chantal and works for Morrison Homes in Richmond, where they live with their two-year old daughter, Kenna Dawn. A step-sister, Stephanie, lives in Kerrville. Sad story. May she rest in peace.